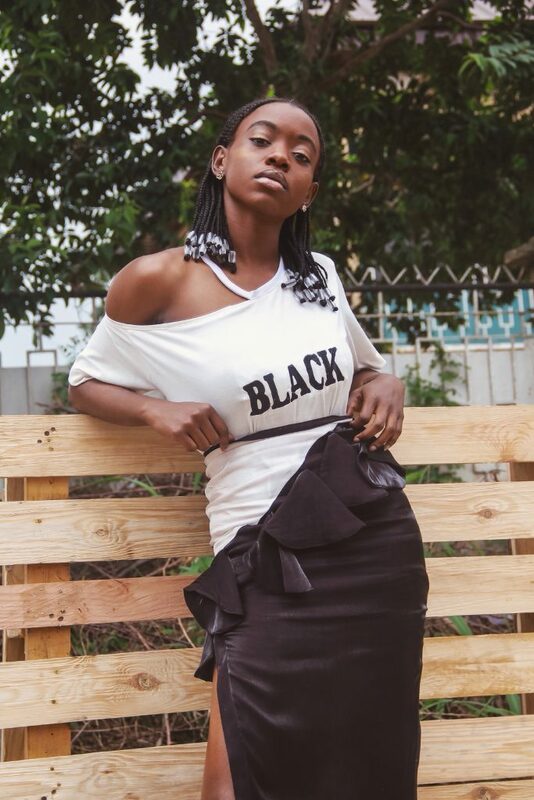 “The essence of Nola Black seeks to find balance in extremes, creating a dynamic combination of contrasting elements – represented by producing soulful pieces predominantly in black and white. 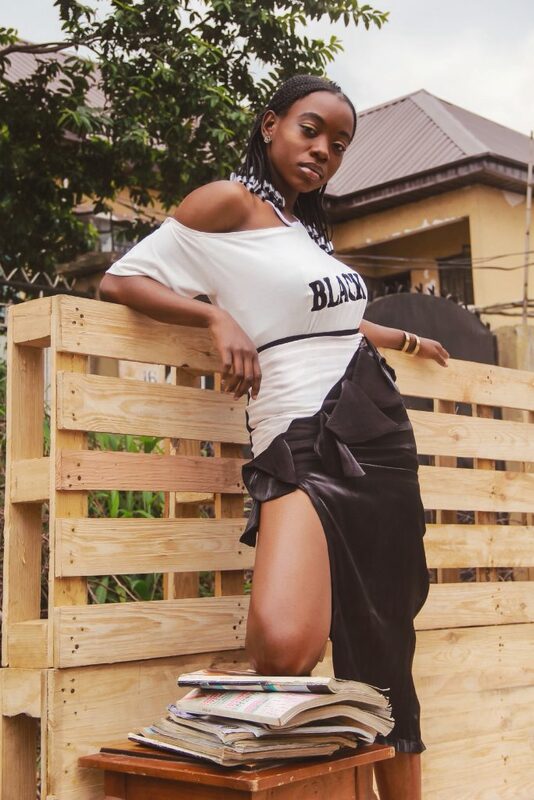 In its bid to continuously produce authentic visuals and showcase its expressive clothing language, Lagos based Pret-a-porter womenswear brand, Nola Black [@nolablack.ng] has collaborated with budding creative and blogger Sandra [@zo.nna] in the first series of an on-going editorial series titled “Things of Me”. 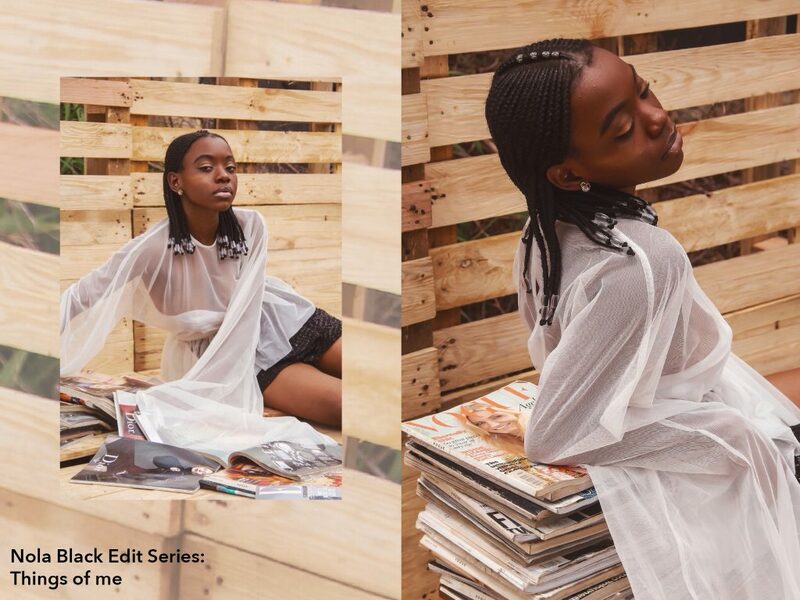 Shot by fashion photographer OG [@asamaige], the novel editorial seeks to give an insight into this blogger’s life as a female creative by displaying material item[s] that shape her ideas, whilst also allowing her creative freedom to style two Nola Black pieces from the previously released SS18 collection “Olokun”. 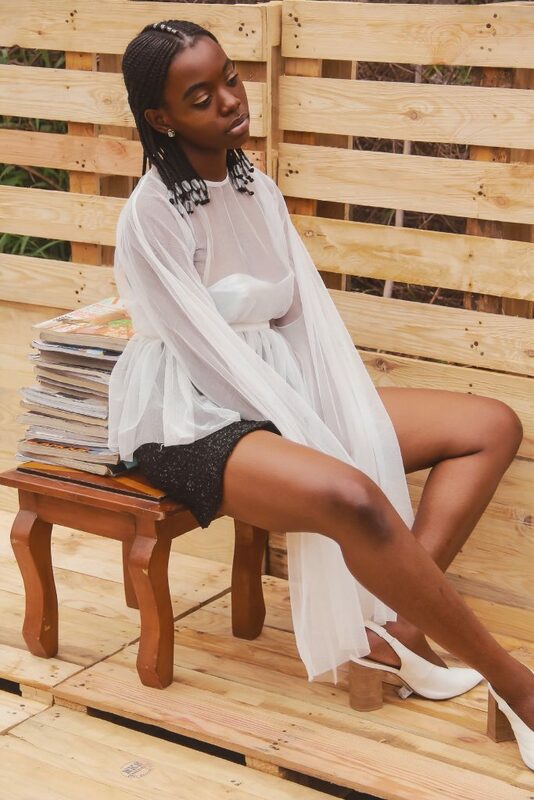 Driven by this, this installment of the #NBThingsofMe edit showcases the subject, Sandra interacting with a major source of inspiration for her creative process. 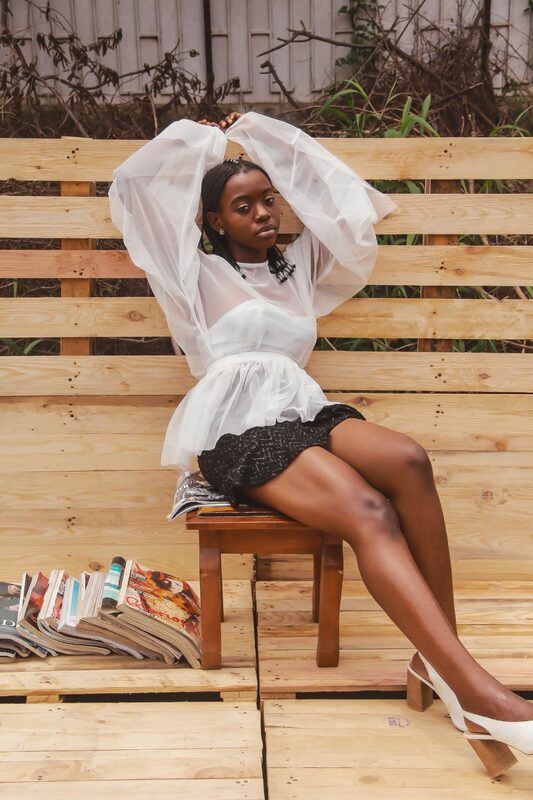 Staged on a wooden set, she is pictured in two Nola Black outfits that encapsulate the ethos of the brand – quirky, modern and emotional. 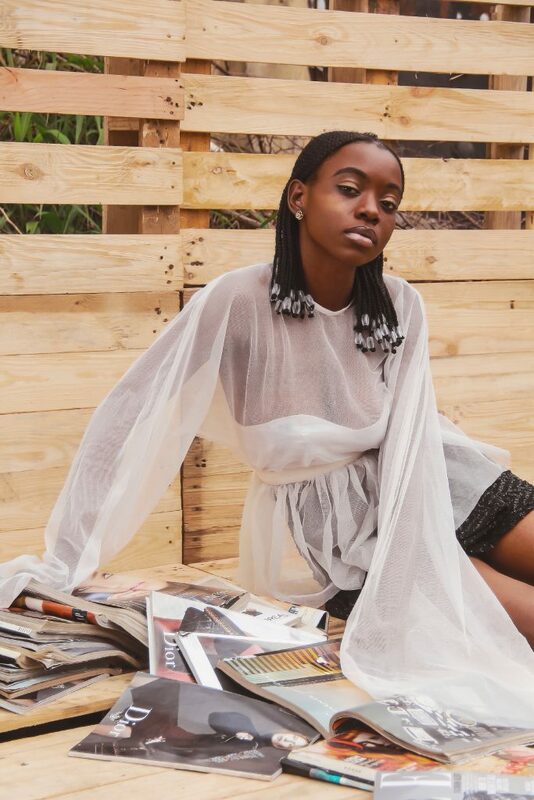 Nola Black is excited to present this collaboration featuring visuals with a fresh warm feel, trippy and expressive pieces. 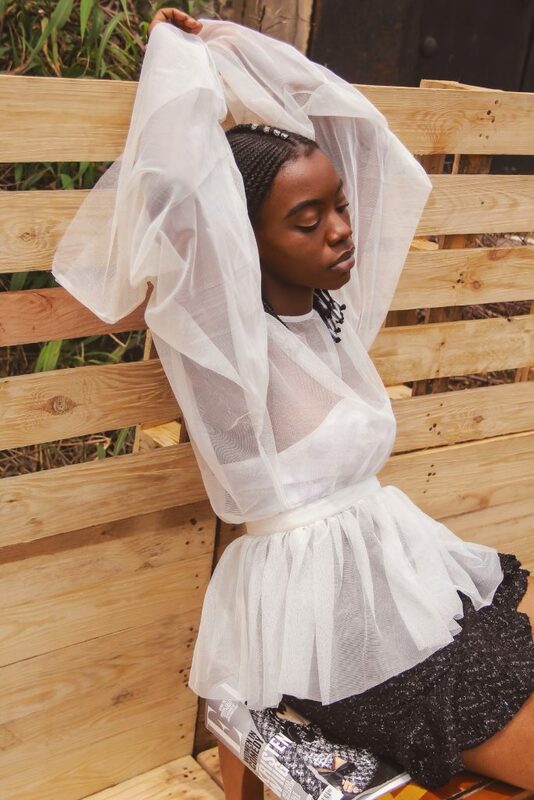 This editorial serves to draw a similarity between multilateral women creatives always out for new forms of self-expression.